Thinking about buying a home? 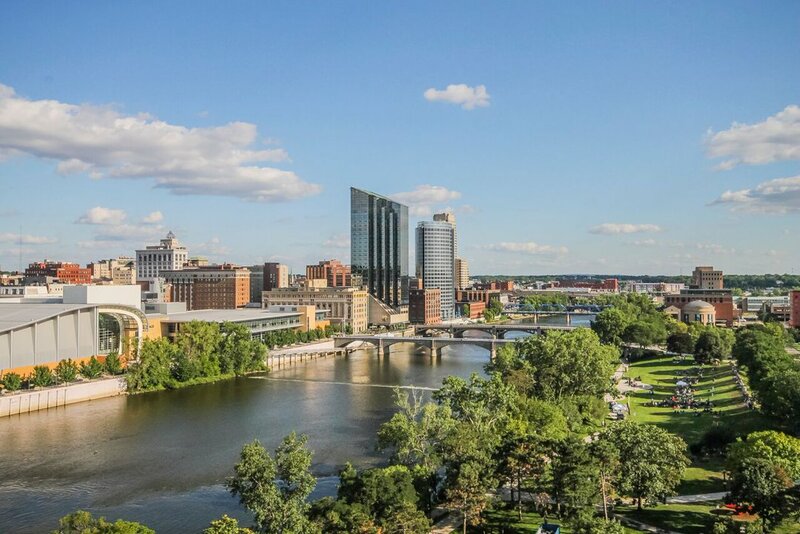 Looking to settle into the Grand Rapids or greater Grand Rapids area OR any of the surrounding counties including Kent, Montcalm, Muskegon, Newaygo or Ottawa? Look no further than the Grand Rapids Homes Team! Assisting home buyers is one of our specialities, and we’re here to help you find that house that will be your next perfect home, whether you’re a first time home buyer or a seasoned vet. How do we do help home buyers like you? Simple. By meeting with you one-on-one, listening to your goals of homeownership and working with you to make sure those goals can be reached. You’ll sign a Buyer Agency form with us to ensure our buyer-agent relationship is exclusive and from there we’ll begin showing you the houses that fit the needs you’ve previously expressed to us, ensuring that the location you buy in will fit both your current and future needs. Beyond looking for the actual home itself, we will educate you on the process of buying a home - from the forms that will need to be filled out before we can even begin looking at homes to the paperwork you can expect to sign following a successful purchase. In the meantime, here are answers to some of the most commonly asked questions we get from clients about what it means to work with us as Buyers Agents. Q: Do you work with the buyer to negotiate the purchase price of a property? A: Absolutely NOT. Once you sign a Buyer’s Agency agreement to work with us, we work for YOU exclusively, with YOUR best interest at heart. Q: How much of a down payment will I need in order to purchase a home? A: Down payment amount is a variable that is determined by a qualified lender, not the real estate agent. We work with some of the best in the area, so please give us a call at (616) 439-1190 to find out who the qualified lenders are in your area. (PLEASE NOTE: It’s important to know the amount you’re pre-approved for and what size of down payment you’ll need BEFORE you start your home search.) To see your pre approval status click here to visit Treadstone Funding's website to begin the process. Q: Lifestyle is just as important to me as a home’s features - how can I find out about what the neighborhoods are really like? Q: So ... Where is the best place for me to start? A: Give the Grand Rapids Homes Team a call at (616) 439-1190, or fill out a search on our site so we can contact you if you prefer. We’re here for you and we look forward to helping you in your exciting hunt for a new home!